July 31, in the pavilions of the Fairgrounds started the next 16-th festival of fantasy, cinema and science "StarKON". 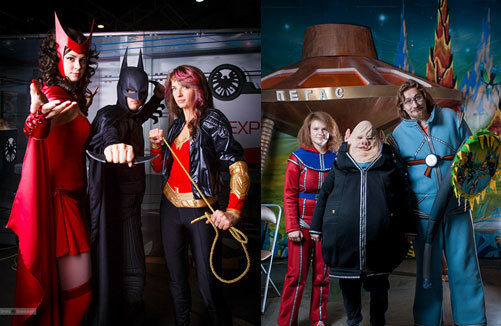 The festival was first held in 1999 in Moscow as the festival of fans of the movie "Star wars". This event will certainly appeal to guests renting our apartments in Saint-Petersburg. However, in 2011, the organizers realized that the topic has exhausted itself and decided to give the festival new life, inviting festival fans of science fiction. A characteristic change was the relocation from Moscow to the Northern capital. Now the festival is attended by real scientists that demonstrate real, but not long ago, fantastic things and phenomena. In the festival participate also fans of science fiction comics and computer games. There is even a section dedicated to modern Astronautics. 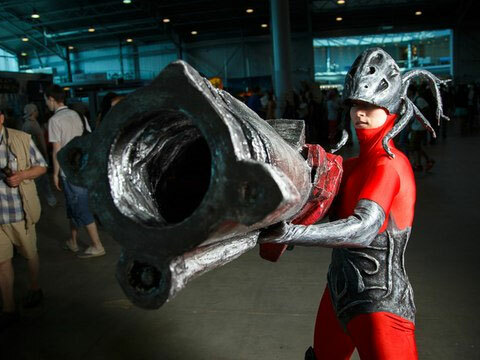 The festival will host a cosplay contest with a prize Fund of more than 200,000 rubles. The number of participants of the contest organizers must exceed one and a half thousand participants. In General, it will be for someone and something to see. the festival will be screenings of cult movies and premieres of new films. So the festival will be held the Russian premiere us film "Fantastic four"
the Festival will be attended by famous guests of honor and the science fiction writers, whose performances to be streamed. For those wishing to master classes on creating comics, a variety of quests. Also, many people can play Board and computer games fantasy theme. Different stands can not only see, but to purchase a variety of Souvenirs. In addition to Souvenirs will be able to buy books and comics for fantasy theme. the Festival will run until 2 August 2015 in the pavilions of the Lenexpo No. 7, 8 and 8A. the ticket Price of 800 rubles.